Washington Post reporter Dana Priest won the George W. Polk Award for National Reporting. NPR reporter Richard Harris won a 2010 Kavli Science Journalism Award from the American Association for the Advancement of Science. 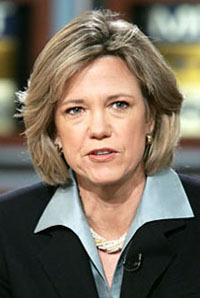 Priest, a two-time Pulitzer Prize winner, and her Washington Post colleague William M. Arkin won a George Polk Award for National Reporting for "Top Secret America,” a two-year investigation into the enormous ecosystem of military, intelligence, and corporate interests spawned in the decade after the Sept. 11 terrorist attacks. They revealed that the business of keeping Americans safe involves 854,000 people with top-secret security clearances working on counter-terrorism and homeland-security issues for 1,271 government organizations and 1,931 private companies in some 10,000 locations across the U.S. The series showed how the system has grown so big and become so complex — and relies so heavily on private contractors — that it’s virtually impossible to know whether it is fulfilling its most important purpose: keeping citizens safe. Harris, a science correspondent for National Public Radio, is among the winners of the 2010 AAAS Kavli Science Journalism Awards from the American Association for the Advancement of Science (AAAS). 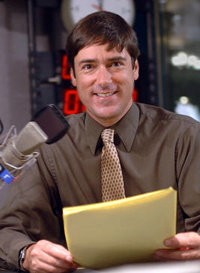 Harris won the radio award, along with NPR editor Alison Richards, for a series of reports on the Gulf oil spill. Harris found independent experts who concluded the spill was much larger than the official estimate of 5,000 barrels a day. The NPR reports, broadcast in May, helped spur the creation of a federal panel to review the flow-rate estimates. By mid-June, the panel was estimating the flow at 35,000 to 60,000 barrels of oil a day, in line with what NPR had found. "Richard Harris's reporting on the Gulf oil spill was an important and ground-breaking development in an ongoing story," said Janet Raloff of Science News, who served on the awards panel. "His coverage shows how science can shape public discourse on an important topic." Harris, a biology major, and Priest, a politics major, are both past winners of UC Santa Cruz Alumni Achievement Awards – Harris in 2010 and Priest in 2008. Harris discussed his reporting on the Gulf oil spill at the UCSC Foundation Forum in October. In 2006, Priest received the first Distinguished Social Sciences Alumni Award. The George Polk Awards are named for CBS correspondent George W. Polk, who was killed covering the civil war in Greece in 1948, and are administered by Long Island University. Priest, a Post reporter for more than 20 years, won the Pulitzer Prize in 2006 for exposing CIA "black site" prisons and again in 2008 for her articles with two colleagues on the mistreatment of wounded veterans at Walter Reed Hospital. Priest will receive her award April 7 at a luncheon in New York. April 6, she will take part in the annual George Polk Seminar at Long Island University's Brooklyn campus where she will speak on “Piercing the Veil of Secrecy,” along with A.C. Thompson of ProPublica, who earned the 2010 George Polk Award for Television Reporting; and Rolling Stone’s Michael Hastings, recipient of the 2010 George Polk Award for Magazine Reporting. Harris and the other recipients of the 2010 AAAS Kavli Science Journalism Awards were honored at a ceremony on February 19 at the AAAS annual meeting in Washington, D.C.